Potent and selective acid sensing (proton gated) ion channel 1a (ASIC1a) blocker (IC50 = 0.9 nM). Shows antinociceptive and neuroprotective actions. Isolation of a tarantula toxin specific for a class of proton-gated Na+ channels. Escoubas P et al (2000) J Biol Chem 275(33) : 25116-21. A tarantula peptide against pain via ASIC1a channels and opioid mechanisms. Mazzuca M et al (2007) Nat Neurosci 10(8) : 943-5. Neuroprotective effect of acid-sensing ion channel inhibitor psalmotoxin-1 after hypoxia-ischemia in newborn piglet striatum. Yang ZJ et al (2011) Neurobiol Dis 43(2) : 446-54. 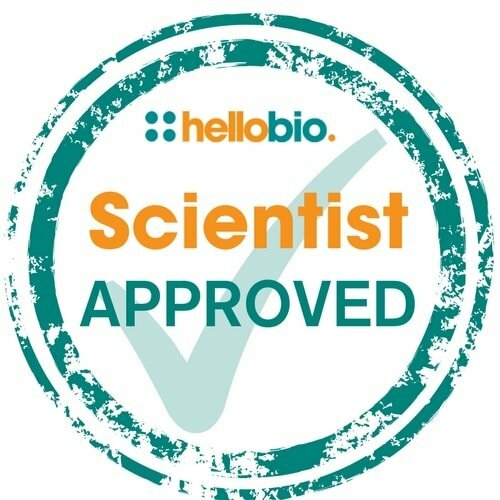 The following papers have cited the use of Psalmotoxin 1 (HB1148) from Hello Bio. If you have published a paper using this product, and it is not shown here, then please tell us! We will send you a free gift as a thank you!